There's yet another reason to protect sloths, besides their adorable grins and funny-shaped toes, according to a new study published this month on three-toed sloths in Panama. Saving sloths could save people too -- thanks to a veritable ecosystem of fungi living in their coats. 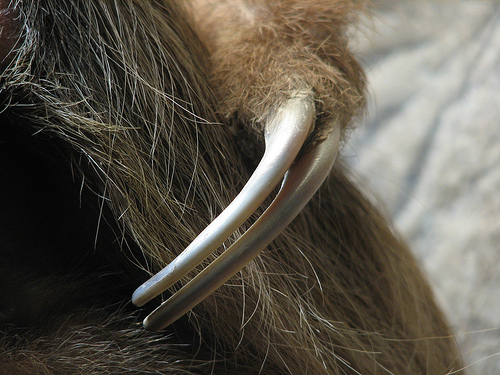 The research, published in the scientific journal PLoS One, says that sloth hairs contain compounds that can be used against bacteria, breast cancer cells and the parasites that cause malaria and Chagas' disease. Because sloths move so slowly and infrequently, their fur has long been known to be a cozy home for fungus, moss and -- discovered just last week -- even moths. After learning about this micro-ecosystem, a team of researchers led by Sarah Higginbotham of the Smithsonian Tropical Research Institute was curious to examine this micro ecosystem. "It got me wondering what else the fur might be home to," Higginbotham said. The team collected fungi samples from the fur of three-toed sloths (Bradypus variegatus) in Panama's Soberanía National Park. They found that some of the samples helped fight against Plasmodium falciparum, the parasite that causes malaria, while others were useful against Trypanosoma cruzi, which is responsible for Chagas' disease, a tropical parasitic disease that can be life-threatening. 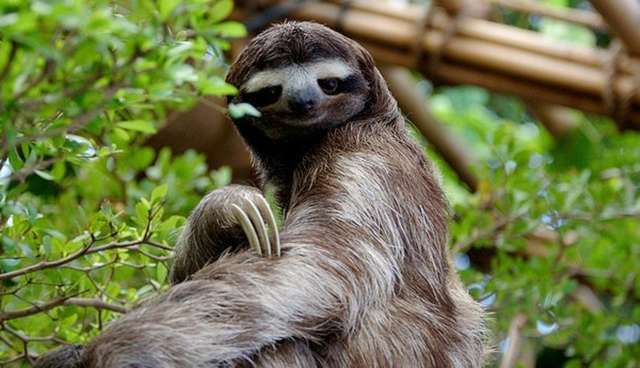 Many of the compounds found in the sloth fungi also were active against human breast cancer cells, as well as the species of bacteria that cause MRSA infections, cholera, salmonella poisoning and a host of other infections. Gileno Xavier, a sloth expert from the Rural Federal University of Pernambuco in Brazil, told SciDevNet that the study highlights the importance of conservation efforts. "These results help the lay public understand the value of wild animals and that they are an integral and necessary part of ecosystem life," he said. Three-toed sloths are listed as critically endangered on the IUCN's Red List -- they are threatened by hunting and habitat destruction.